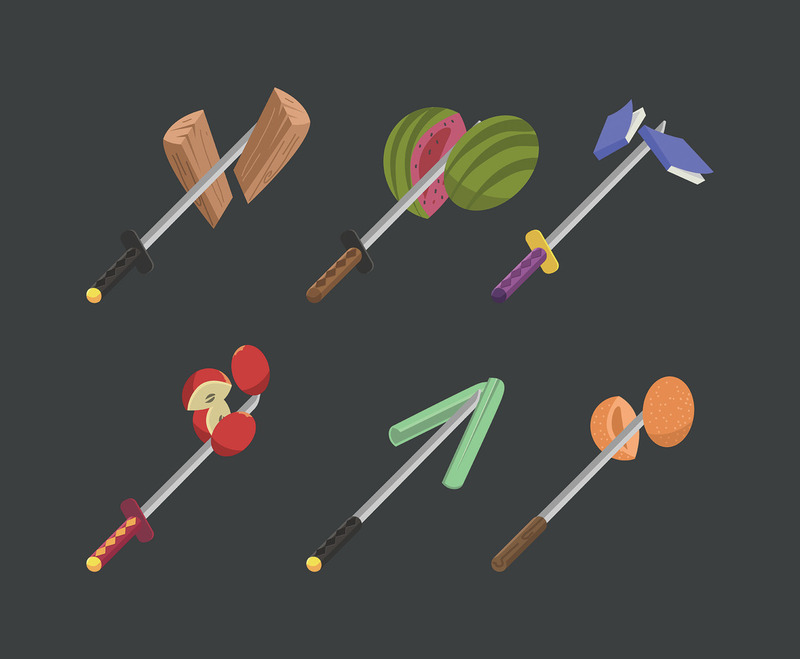 This package depicts six icons of katanas slicing through various foods or other object such as a wood log. I hope it's useful for your design projects. Enjoy!